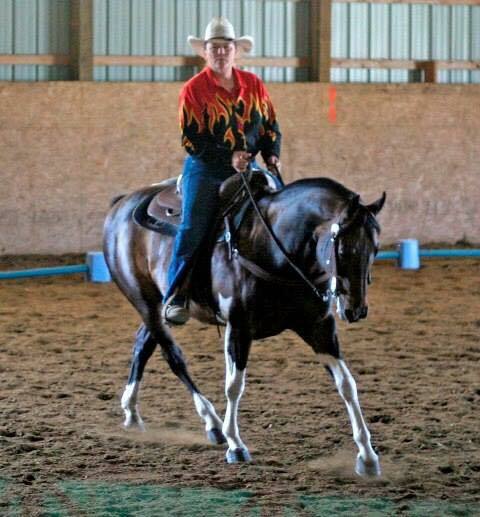 So you have heard about Western Dressage? Now, how do you go to get started? First, read all the information on this website – become familiar with the big and small arenas and the letters, read the rules and equipment guide, and begin working your horse at the walk-trot tests (Intro Western Dressage). It is very important that your geometry is perfect – the 20 meter circle is harder than it looks! Practice stopping with your shoulder AT each letter, so you get used to seeing the letters out of your peripheral vision. Dressage (Western or English) is designed to be a training tool. So even if your horse is way past walk-trot – it is a good idea to start at the very beginning with Intro Test 1-4. It will take a good season of riding daily until you are ready for the schooling shows. 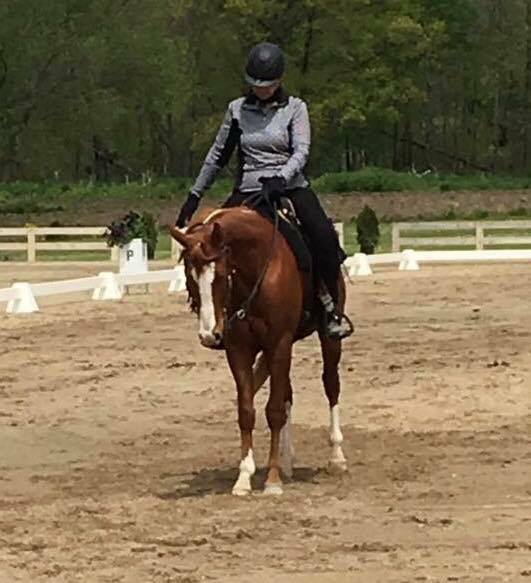 When you are consistently getting over 65% on your test scores, start training at the next walk-trot-canter level (Basic Tests 1 – 4), but continue to test at Intro. When you are confident your horse is ready, test at Basic 1, and if you consistently get over 65%, test all of the Basic tests 1-4, yet start training at Level 1 Test 1. Continue this way through all of the levels. It is important not to skip a level or a test, because missed training will show up later in your horse’s performance. You will be amazed at how well your horse and you communicate after just a short time! Of course, if you get stuck, have a trainer help you from the ground. We have compiled a list of people and the areas they are in so you can get in contact with someone that can help you. English or Western trainers can be valuable in your progress, because developing the movements are very similar in both. Then visit our EVENTS page to find schooling shows near you and if you know of one we do not have on this website, let us know – we will include it! 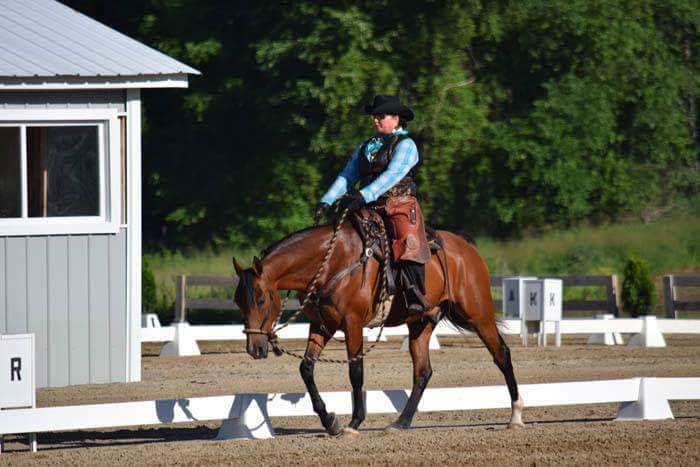 WDAMI has compiled a list of people qualified to help you get started in Western Dressage. From judges to trainers, you will find people here willing to help you all across Michigan. If you don’t see someone in your area, feel free to contact the closest one and see if they can help you find a qualified person. When going to a schooling show to be eligible for the WDAMI Year-End awards, Scores must come from judges who are USDF “L-grad” or USEF “r”, “R”, “S” or FEI judge or a USEF Western Dressage “r” or “R” judge. The people listed as Train the Trainers™ graduate have completed the Train the Trainers™ clinic, and have a Certificate of Completion as well as the use of the “Proud Graduate of Train the Trainers™ logo,” thereby putting them into a small and elite group of equine professionals who have taken the time and expense to become more educated about Western Dressage. The WDAA and WDAMI do not endorse or certify any trainer or judge.